Be ready to experience plethora of magical delights here at the Lounge over the next few weeks! Prior to Matthew Johnson’s lecture on 16 June we are pleased to be hosting a special, all-new lecture by Craig Petty on Thursday 2 June. He announces this as his 2012 lecture, but we’re sure he’ll have lots of stuff you can use this year too! 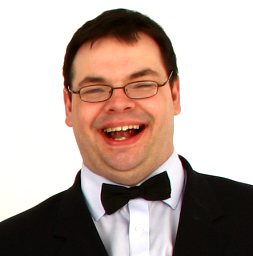 Craig specialises in commercial close-up magic and is widely known for his sleight of hand work with coins. Magicseen magazine has described as ‘the performer to watch in 2009’ and we’ve been reliably informed he’s just as good in 2011. His techniques and routines have featured in over ten DVDs and he has lectured all over the UK. Craig is a member of the Inner Magic Circle with Silver Star. We’re sorry to be a little late in posting this information, but it has been on the Sheffield Circle list for a while so we’re expecting a full house for what should be a great night’s entertainment and instruction. Admission is free to SCM members; non-members will be admitted at the bargain price of £10. Doors open at 7.08 and the lecture starts at 7.30. I came up with a method 3 years ago to reseal decks and can accomplish the signed card in sealed deck effect. I am currently thinking of restarting this project and would like to know if you can help me out with some originality concerns. I’ll share my method with you as well,.